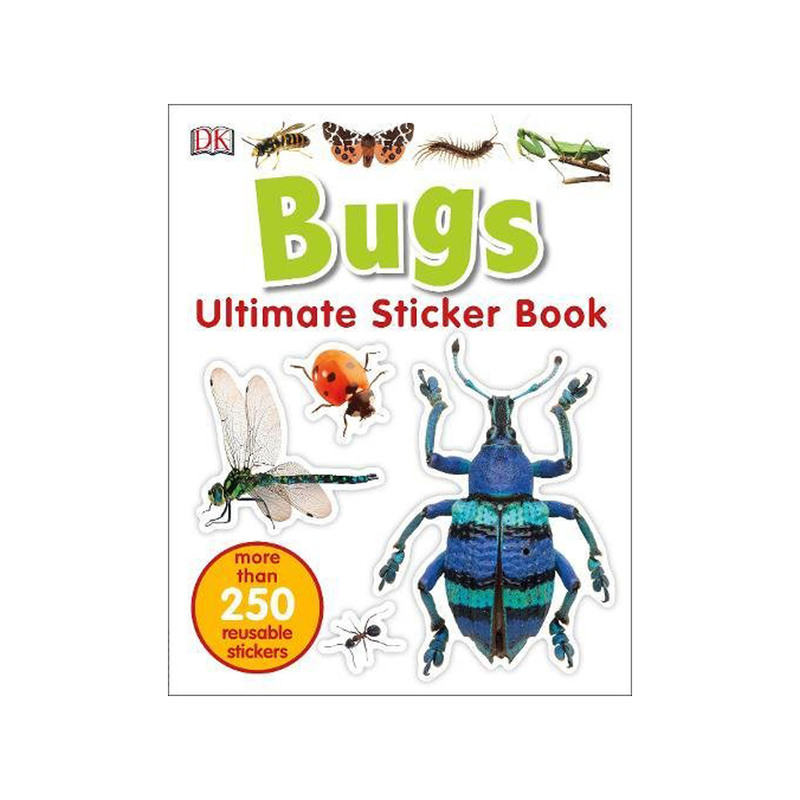 Learn about different creepy-crawlies across the planet with this fun and vibrant bugs sticker book. 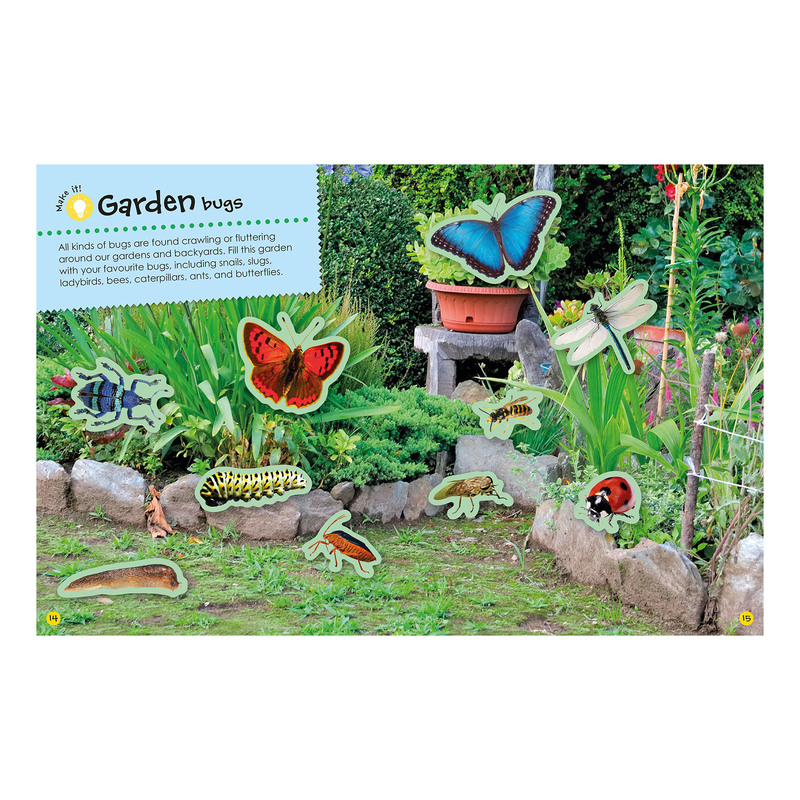 Create unique and changeable scenes with 250 high-quality photographic stickers to play on colourful and glossy illustrated backgrounds. 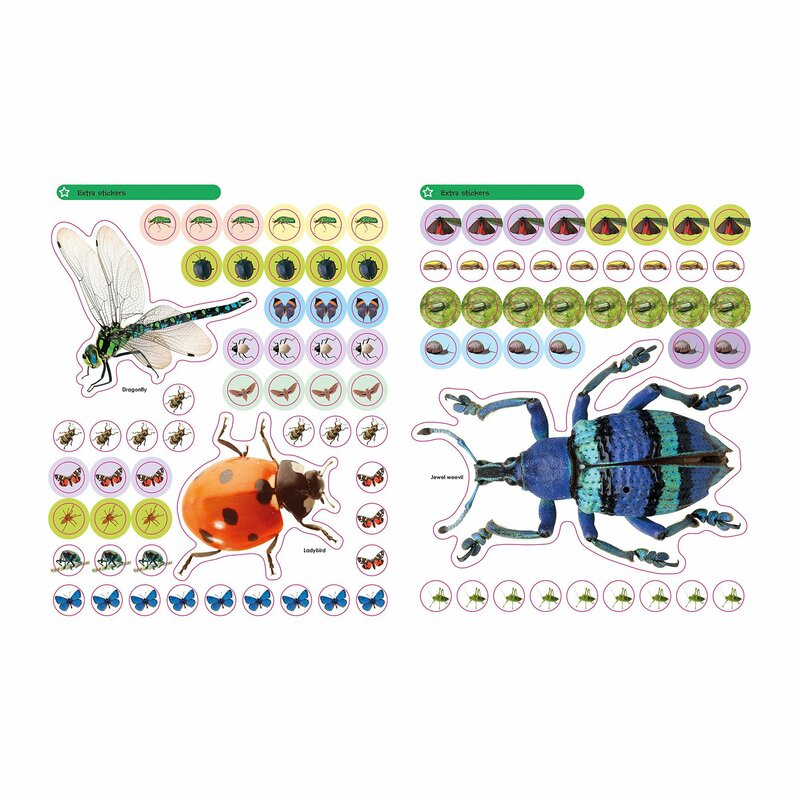 This colourful bug sticker book features reusable stickers so they can be stuck on, peeled off and stuck on again. It also includes fun activities and interesting animal facts for children to learn more about beetles, dragonflies and many more minibeasts. 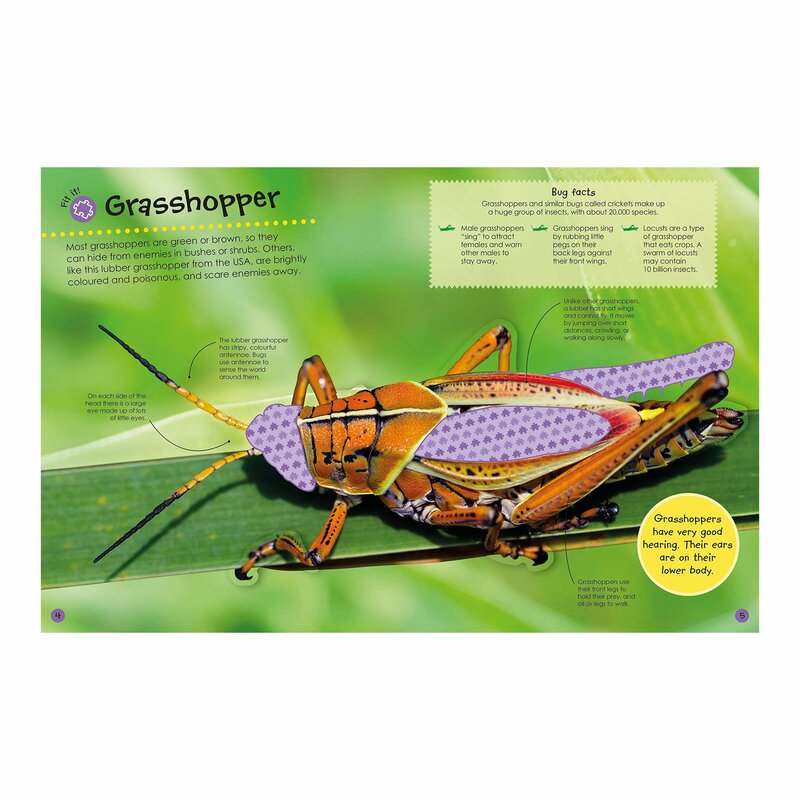 A fantastic gift for bug-lovers and a must-have addition to your children's bookshelf.